A new report by Environmental Justice Australia finds that if Australia’s export credit agency, EFIC, funds Adani’s controversial Carmichael coal mine, it would expose EFIC’s directors to significant legal and political risk. The Export Finance and Insurance Corporation (EFIC) has met regularly with Adani and reportedly already decided to provide concessional support to a company in Adani’s supply chain. EFIC told Senate Estimates on 1 June 2018 that the relevant transaction was not proceeding “at the moment”. However, neither EFIC nor the Federal Trade Minister, Steven Ciobo, have ruled out supporting Adani or its associates for the Carmichael project. EFIC has been in the news again this week when it was revealed that Minister Ciobo last year overturned a ban on government-backed loans to domestic mining operations without consulting his department. EJA’s new analysis finds EFIC support for the Carmichael project would likely breach the EFIC board’s duties and be beyond the Trade Minister’s powers. The beneficiaries of EFIC support are exposed to the significant risk of legal challenge and changing political whims. 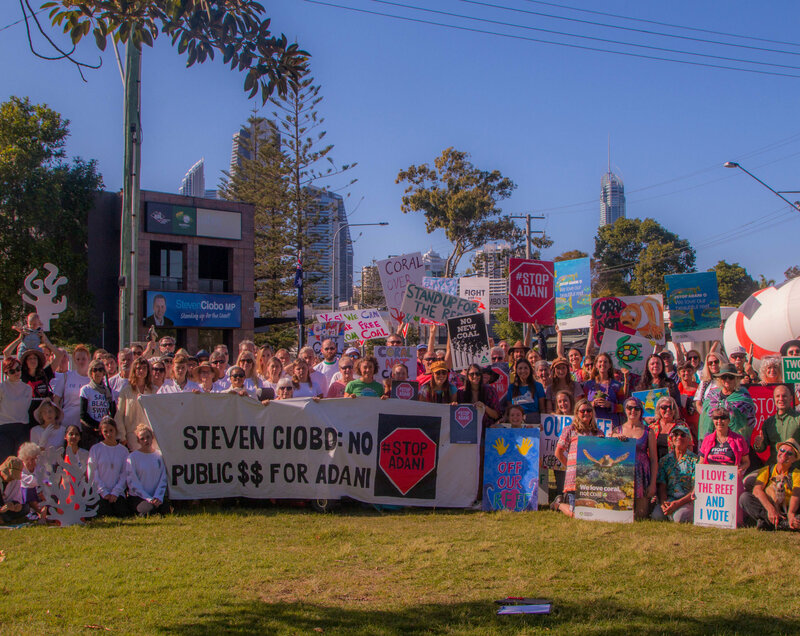 Trade Minister Ciobo has the power to direct EFIC to support Adani’s project via the National Interest Account for unlimited taxpayer support. But such a direction must not be unreasonable. The project must be commercially viable, in the national interest and in the public interest. EFIC’s board is subject to stricter obligations than the directors of Australian companies. Legislation requires them to act ethically and as well as with care and diligence. The analysis finds that financial and environmental considerations surrounding Adani’s massive Carmichael thermal coal mine would likely persuade a court that neither EFIC’s board nor the Trade Minister would be acting within the law, if material support was provided by EFIC. Such decisions are open to legal challenge. Then there is the political reality that the Federal opposition Labor party has ruled out public financial support for Adani. Any direction by Minister Ciobo should be quickly overturned by a future Labor Finance Minister, who would be bound to honour the party’s promise of no taxpayer money for Adani. Australia’s Constitution empowers the parliament of the day to cancel EFIC contracts and prevent payouts of guarantees and insurance. EJA’s analysis also reveals EFIC has failed to provide the public its Board’s assessment of the Adani-related project it has already assessed, in apparent contravention of section 9 of the Export Finance and Insurance Corporation Act. The Board’s assessment must be made public irrespective of whether the project is proceeding. Disclosure of the assessment is the first step for the public to keep EFIC’s Board accountable for decisions to support onshore resource and related infrastructure projects. Minister Ciobo defied the Productivity Commission’s finding that EFIC support was not justified for those projects and changed EFIC’s Statement of Expectations in September 2017. There are many inherent risks to EFIC providing financial support to Adani. They materialise now for all transactions and are real and significant. Bankers – and Adani’s business associates – should be aware of the substantial legal and political risks as significant community opposition to Adani’s coal project continues to grow.